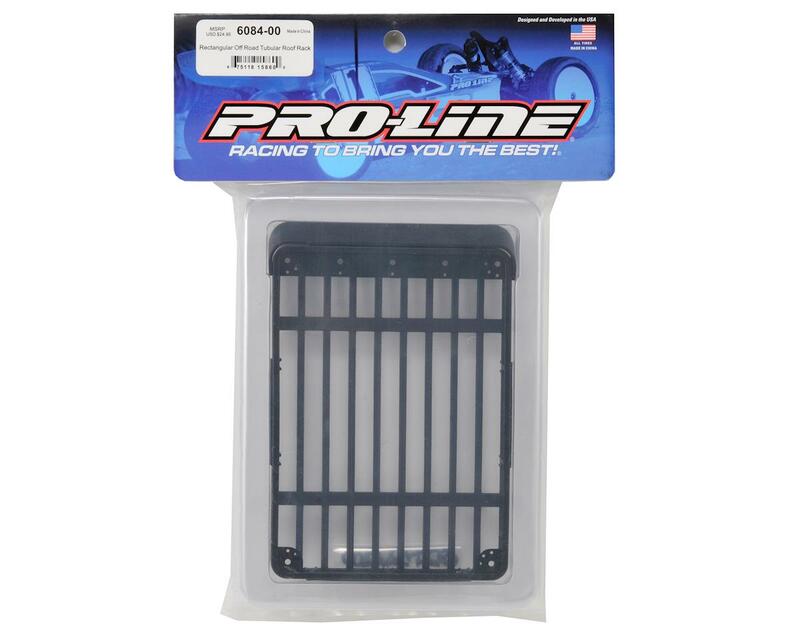 This is the Pro-Line Rectangular Off Road Tubular Roof Rack. Need to haul more cargo and Supplies on your Scale Crawler adventure? Look no further than the Rectangular Off-Road Tubular Roof Rack! 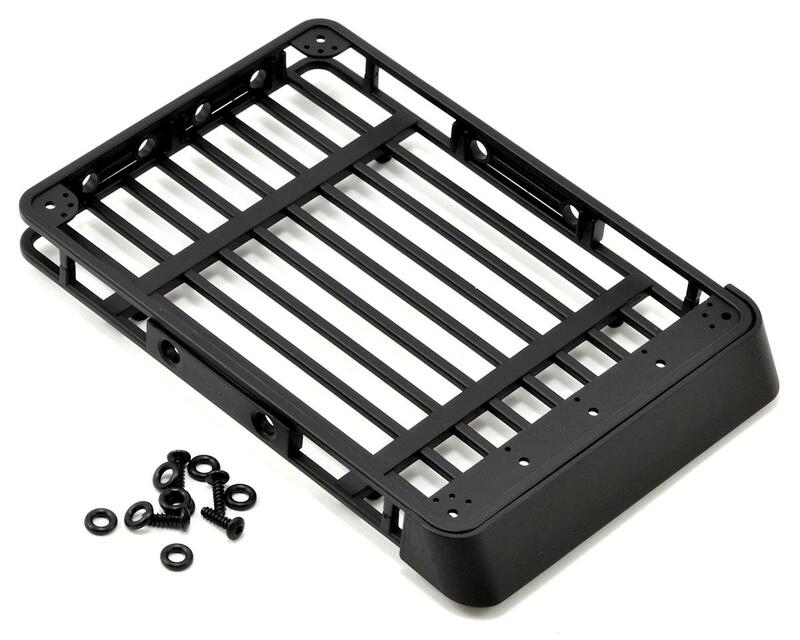 Molded in Black, this Roof Rack is designed to simulate the square/tubular roof racks seen on most 1:1 Off Road Vehicles. It offers double the capacity of the original 6046-00 Square roof rack measuring in at just over 6-5/8" in length (6" Less front faring) by 4-3/8" wide and is 5/8" Deep. The rack has light mounting points molded into the upper structure that allow you to add up to 7 off road lights. The front faring and side plates are also removable allowing you to custom tailor the look of the rack and the mounting Hardware is included allowing you to mount it to just about any Scale Off-Road Body.